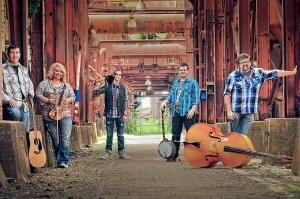 (Arab,AL) Alabama based Bluegrass Gospel artist Canaan’s Crossing recently announced the resignation of long time Fiddle player and Vocalist, Tina Miller. The search for a replacement was short lived as Hannah Black, the sister of Canaan’s Crossing guitarist Joshua Black will be joining the band effective immediately. ” We all are sad to see Tina leave the band but she has a great opportunity that you will be hearing about in the days to come. We are just thankful that we were able to find her replacement in our hometown. In fact, Hannah studied fiddle and voice under Tina”, said Canaan’s Crossing spokesman Tim Maze. Hannah Black is age 19 and a Freshmen in college. 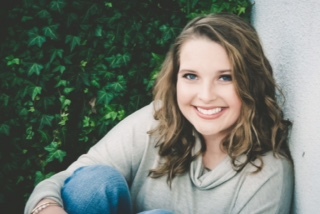 While in high school, she was a member of the Arab High School FFA string band which won a state championship. Also, as part of the FFA, she was an officer for all four years of high school and an Alabama state officer during her senior year. Hannah shared this on her Facebook page, “I am so excited and very thankful for the opportunity to be a part of this group. I pray that the Lord uses this for His glory and His glory alone. Excited to begin this journey! (Arab, AL) Song Garden artist Canaan’s Crossing welcomes a familiar face back to it’s lineup. Drew Long played with the band from 2010-2014 and will step back into his former role recently vacated by Collins Miller. 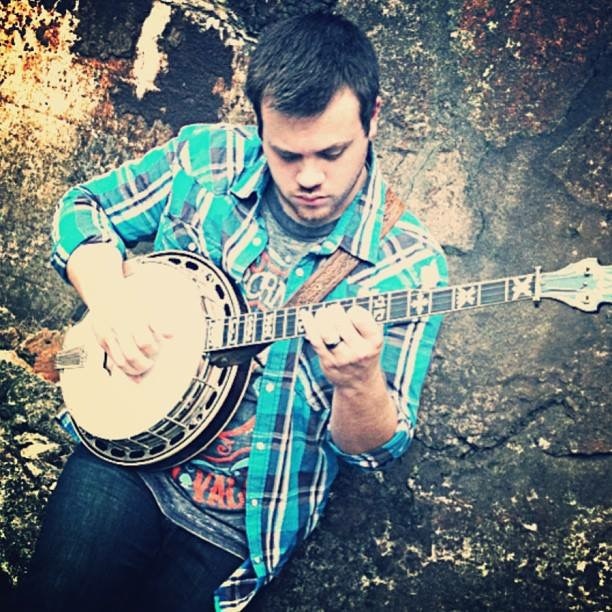 Miller, son of band member Tina Miller has been playing since Long’s departure and recently left Canaan’s Crossing to join the Darrell Webb Band based in Sevierville, TN. “We would like to thank Collins for the great job that he did while he was a member of our band. His future is nothing but bright and we wish him all the best” said Canaan’s Crossing spokesman Tim Maze. 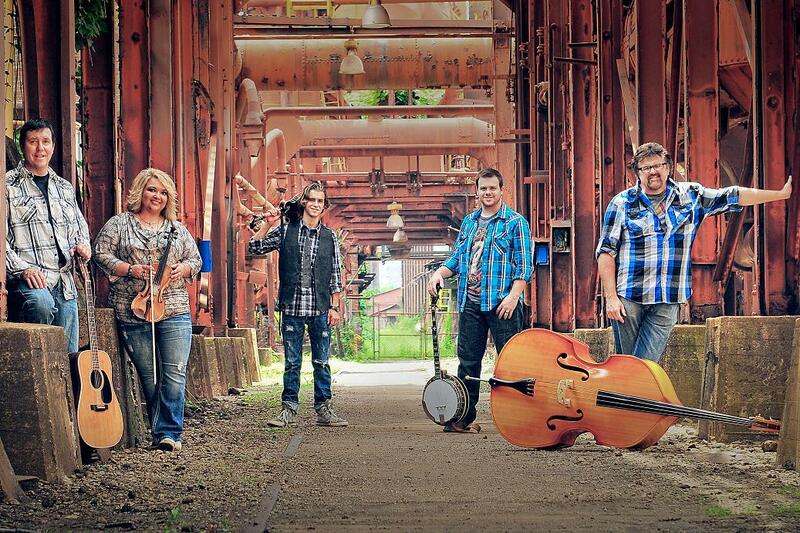 Long’s first date with the band will be September 17th in Upton, KY at the WJCR Radio Bluegrass Gospel festival. 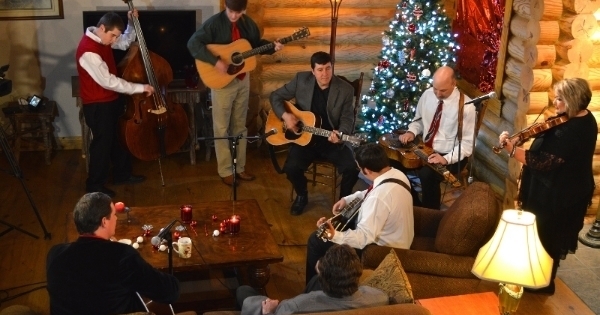 Signal Mountain, TN (November 25, 2015) Harmony Road TV will air its original production, “It’s a Harmony Road Christmas,” beginning this weekend. 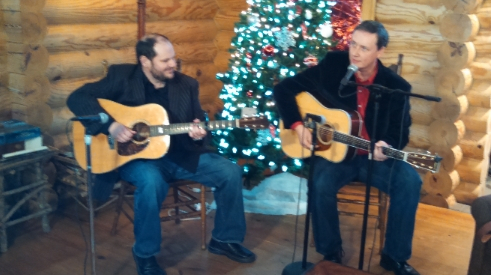 The program features live, acoustic music from Canaan’s Crossing, Randy and Sherri Miller. and John Bowman, accompanied by Troy Engle. Produced inside a log cabin at Jim Oliver’s Smokehouse in Monteagle, Tennessee, this special episode also includes Les Butler with a special reading of the Christmas story from the Gospel of Luke. Viewers will enjoy songs, including “There’s a New Kid in Town,” “Tennessee Christmas,” “Away in a Manger,” and more. Butler and several of the artists also share their Christmas memories. “We are excited to present this program of original performances,” said Roger Spears, program producer. “There was a great atmosphere on the set as these award winning artists shared their talents. It was a pleasure to work with them, along with host Les Butler, director Allan Rhodes, the folks at the Smokehouse, and everyone who helped with the production.” he concluded. Harmony Road TV is now available to over 90 million homes nationwide. Outlets include The Heartland Network, The NRB Network, WalkTV, WATC57 in Atlanta, NBC39 in Jackson, TN, WGNM-TV in Macon, GA, and many others. Online networks include All Nations TV, 3:16TV, BBNTV, and more. The program is also found on DirecTV, ROKU, and Amazon Fire TV. Several networks and stations will air the program multiple times between now and Christmas. Information can be found on Facebook at www.facebook.com/harmonyroadtv or at www.harmonyroadtv.com. The website for Jim Oliver’s Smokehouse is www.thesmokehouse.com. This Week in Gospel Music with Mickey Bell promises to be a terrific show! Mickey talks to the new tenor singer with the New Dove Brothers. He also visits with Tim Maze of Canaan’s Crossing about their Diamond Award nominations. Faythe Lore has an update for us from the Gatlinburg Gathering happening this weekend. 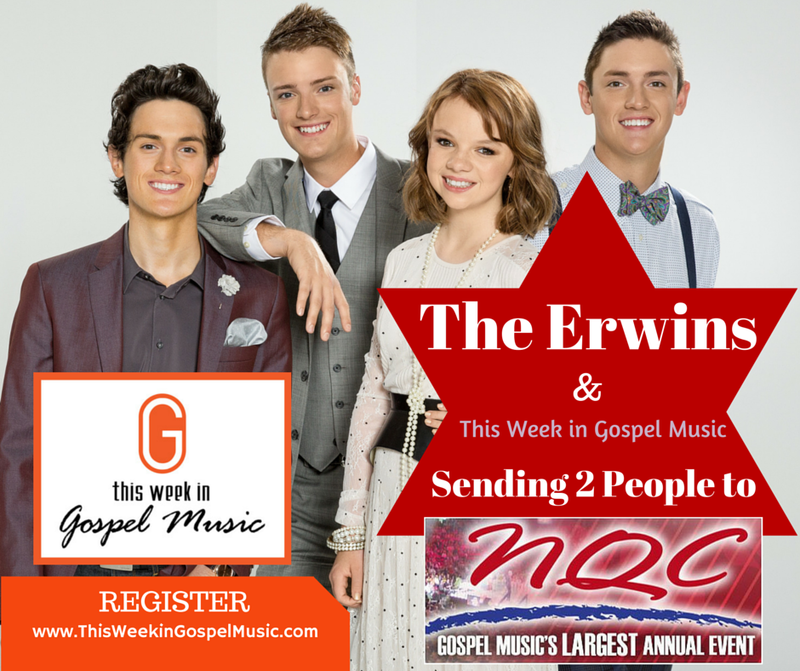 We’ve been talking about the contest to win two tickets for the whole week of NQC, courtesy of SGN Scoops, This Week in Gospel Music and The Erwins. Well, this week, Katie Erwin talks about her crush on a certain Southern Gospel singer. Will he be at NQC? What will happen? Listen this week as anticipation builds for the 2015 National Quartet Convention and our ticket contest. FREE TICKETS for the whole week of NQC! 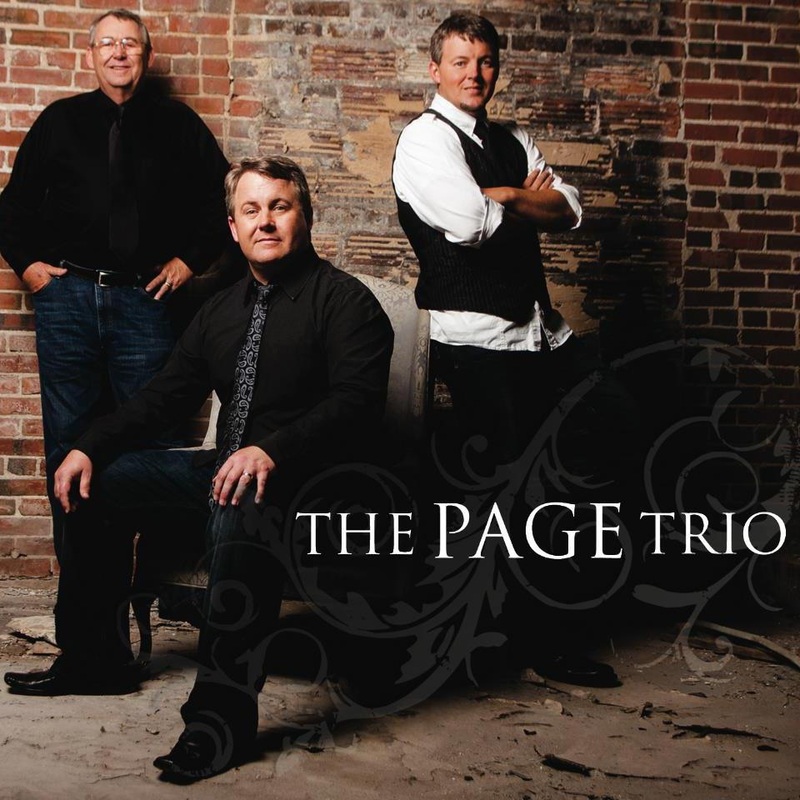 The Page Trio will be featuring Canaan’s Crossing at this year’s Page Trio Homecoming. The annual event has continued to grow each and every year. The Homecoming will take place at Wayne Page’s home church of Edgil Grove Baptist Church in Jasper, AL on July 25, 2015 at 6:00pm. The address of the church is 100 Edgil Grove Road Jasper, AL 35503. 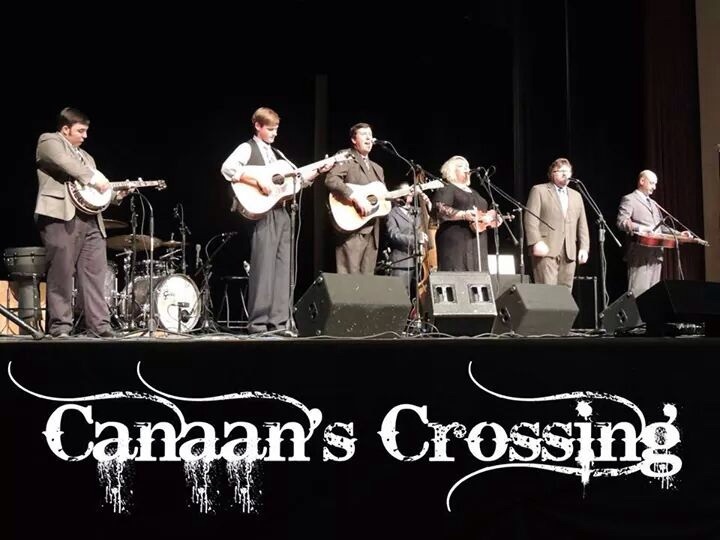 Canaan’s Crossing from Arab, AL have become friends of The Page Trio in the last few years. “Closer Than A Brother,” is their newest radio release through Song Garden Music Group. They have performed on the National Quartet Convention main stage, and appeared in major venues like Dollywood and Silver Dollar City. In 2011, they were awarded Song of the Year for “Dying to Live” and New Artist of the Year during the Front Porch Fellowship Awards at the National Quartet Convention. The Page Trio is celebrating 11 years of ministry this year and are represented by Vonda Easley with Hey Y’all Media. Their latest radio release “Our Lord And Savior,” written by Johnny and Collin Page, is currently #66 on the August 2015 Singing News Charts. God has opened many doors for them as they continue to spread the message of Jesus Christ. The Page Trio have always made this a fun night of worship and would like to invite you come be with them. This will be a free event with a love offering to be received. 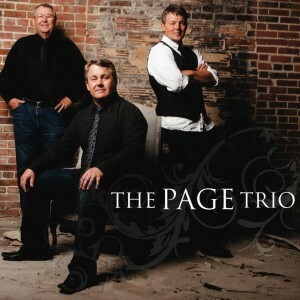 Please visit http://thepagetrio.com or call (205) 384-3274 for more information. 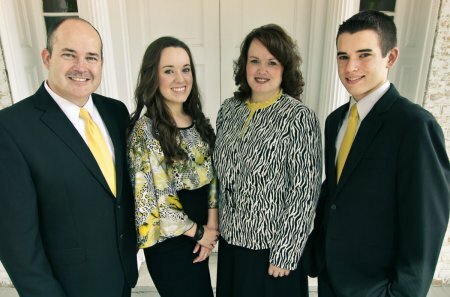 (Arab,AL) Song Garden recording artist Canaan’s Crossing recently marked their 15th Anniversary with a celebration at their home church, Hopewell Missionary Baptist in Arab, AL. Former members of the band joined current members for an afternoon of remembering and performing songs from each era. Pictured are Josh Palmer, Jacob Moody and Wayne Burgett (seated in front). Collins Miller (kneeling) Jr. Saint (seated) Drew Long and Roman Locklear (kneeling). Steven Sims, Andy Wilks, Tina Miller, Keith Cannon, Tim Maze, Joshua Black and Damion Kidd (standing). 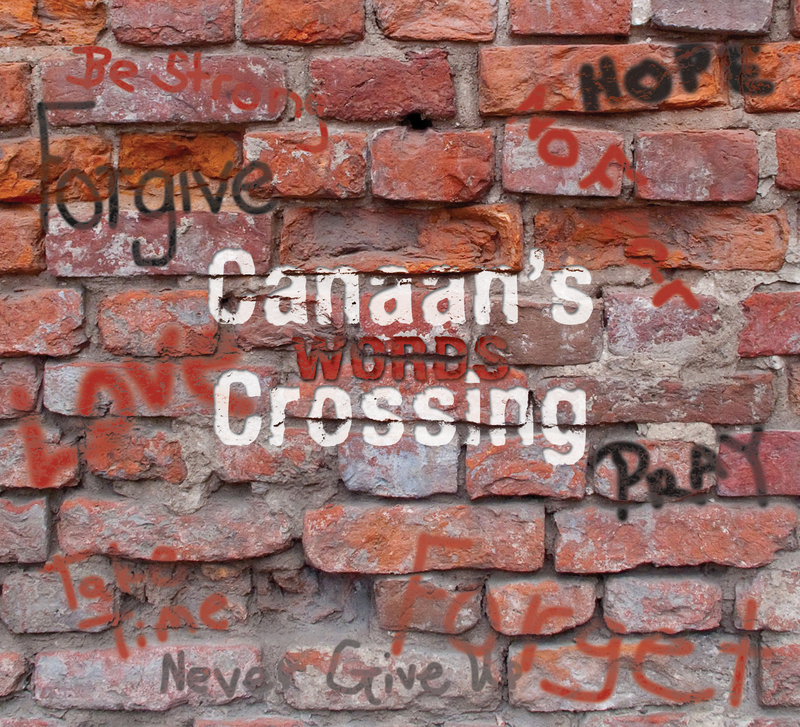 Canaan’s Crossing song “Words I Would Say” currently sits at #6 in the May Singing News and Cashbox Bluegrass Gospel Chart. Signal Mountain, TN Harmony Road TV’s original production “It’s a Harmony Road Christmas” will begin airing this weekend and continue through Christmas. 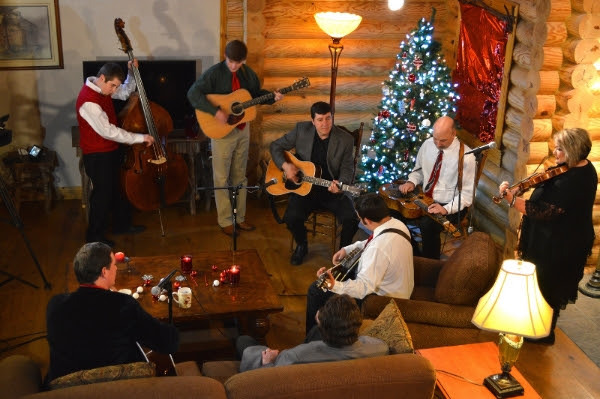 Produced in a log cabin at Jim Oliver’s Smokehouse in Monteagle, Tennessee, the program features exclusive performances by some of Gospel and Bluegrass music’s finest artists. Host Les Butler also provides a special reading of the Christmas story from the Gospel of Luke. Included in the program are Randy and Sherri Miller, Canaan’s Crossing and John R. Bowman, accompanied by Troy Engle. Songs include “There’s a New Kid in Town”, “Tennessee Christmas”, “Away in a Manger” and more. Butler and several of the artists also share fond Christmas memories on the program. “We are excited to present this program of original performances” said Roger Spears, program producer. “There was a great atmosphere on the set as these excellent singers and musicians shared their talents. It was a pleasure to work with them, along with host Les Butler, Director Allan Rhodes, and all the others who helped with the production.” Spears concluded. Several networks and stations will air the program multiple times between now and Christmas. There are also some new additions to the Harmony Road network, just in time for this special program. Information can be found on Facebook at www.facebook.com/harmonyroadtv or at www.harmonyroadtv.com. The website for Jim Oliver’s Smokehouse is www.thesmokehouse.com. A Weekly Southern Gospel program, Harmony Road TV is now available to over 80 million television homes across the country in addition to online streaming, ROKU, mobile app and more. Les Butler, syndicated radio host, musician and Butler Music Group owner is the program’s host. Affiliates have also been added in Jackson, TN, Beaumont, TX, and Harrogate, TN. The Christmas program can also be seen on Horizon Cable in Marshall County, Alabama. Canaan’s Crossing currently has a Singing News Top 10 Bluegrass Gospel song “Somebody’s Blessing” which sits at #5 on the May chart. A new single release is coming in a few days. Canaan’s Crossing is a Bluegrass Gospel group from Alabama with five members who are all accomplished musicians. Four of these musicians are also talented vocalists, creating arrangements and performing many original songs written by band-member Tina Miller. 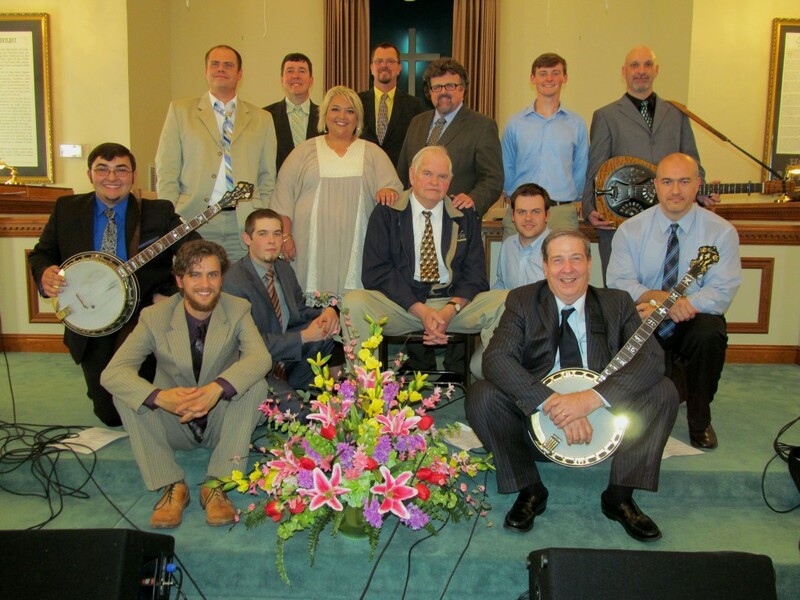 The group performs across the southern States and was recently signed by Gospel music label Song Garden. In 2013, Rob Patz, Publisher of SGN Scoops digital magazine, interviewed Canaan’s Crossing, with the resulting article below published in the November, 2013 issue of SGN Scoops magazine. Rob: Please introduce each member of Canaan’s Crossing to our readers. What instruments do you each play? Rob: I’ve heard you have a new album with Song Garden. Who are some of the writers and players that were involved with this recording? What will be the first release to radio? 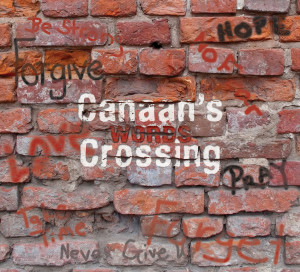 Canaan’s Crossing: Our new album is titled WORDS and it’s taken from one of the songs “The Words I Would Say.” A Contemporary Christian group, the Sidewalk Prophets, actually recorded the song in 2009. Andy liked the song and brought it to us during a rehearsal. Drew was experimenting with it and came up with a very unique Bluegrass feel to the song. The project consists of two songs that two of our members, Drew Long and Josh Palmer wrote plus a couple of songs co-written by Kenna West. One of those is the new single “Somebody’s Blessing” which seems to be a consensus favorite from all of us. Rob: All of you are accomplished players. If you could no longer play your current favorite instrument, what would you want to play? Andy: I would like to learn to play resonator guitar some day. Rob Ickes and Jerry Douglas are amazing.